Tholians are from the Tholian Assembly, located between the Federation and Klingon Empire. Their home world is Tholia, although there is evidence that their origins are not from that world, possibly not from this dimension. They exist in 'demon' Y-class world conditions and can only exist in M-class atmospheres with advanced environmental suits. They require temperatures of 480 Kelvin/207 Celsius. Tholia - and Tholian space - occupies a region where the 'gap' between dimensions are 'thinner'. The Defiant data from 2268 and Excelsior in 2298 confirms this. Tholians are a crystalline race and have much in common with a liquid crystal interior and a solid crystalline carapace. Twenty-five years have passed since the Defiant Incident and the detailed scans taken by the Enterprise; Over 140 years since Archer and NX-01 made first contact with the Tholians. The Vulcan High Command was reluctant to share their knowledg beyond T'pol's cryptic comment that it was unusual for the Tholians to venture out as far as they had. A 31st Century timeship had attracted tem and they warned of the dangers of temporal radiation; something the Tholians had detected from as far out as their own space. This sensitivity to time and space gave them the nicknames of spiders in the web. How true it was. 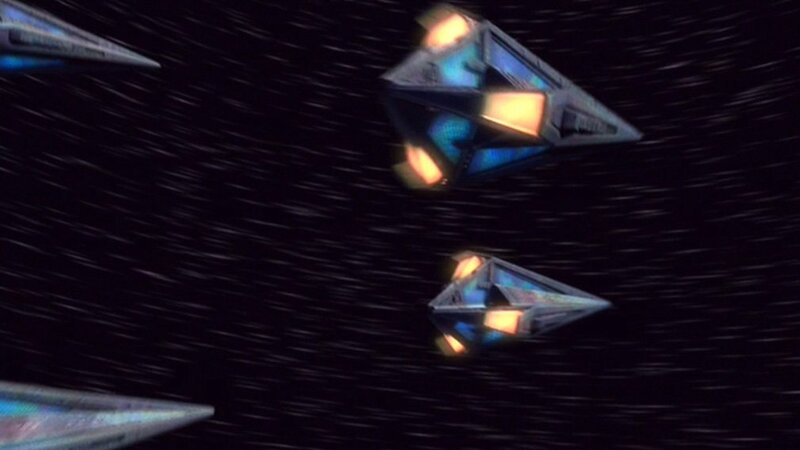 Starfleet sent more vessels into the region after 2268 - especially after the Taurus Reach campaign. Vessels of Archer, Magee, Cardenas, Engle, Hoover and Malachowski class were sent to the region. The logs from Dr Leonard McCoy and the Vanguard Station were used to start to build a profile on the Tholians. Given Archer first encountered Tholians and the Defiant Incident put them on the radar, along with the Vanguard records. Starfleet Intelligence would want to build up a picture of Tholians and their culture. So by Hawkins' era, we'd be more enlightened. For the biochemistry of the Tholian, the closest analogy was liquid crystal technology. Liquid crystals come in thermotropic, lyotropic and metallotropic forms. Thermotropic changes with temperature, lyotropic are found in nature like cell membranes, with a concentration on crystals in a solvent (water). Metallotropic work on a mixture of organic and inorganic molecules in concentration ratios that change their state. Work to confirm this was done by Starfleet Intelligence around 2309 after they were able to 'acquire' body parts from dead Tholians (via Section 31) after the Tholian battle with General Kaarg and the Klingons. The high temperatures are needed to keep their liquid crystalline body systems fluid and functioning. If they're chilled too much they'll solidify and die. Tholians have regions believed to be analogous to eyes; they don't have mouths or speak. Tholians are said to 'transmit'. This is more akin to vibrations or radio wave transmission than actual speech and there's no evidence of Tholian written word. Tholians can be found in silicon or carbon farms, perhaps analagous to the different races of humans found on Earth. The evolution of Tholians is the stuff of biological and developmental psychology interest. Tholia as a Y class 'Demon' planet with temperatures of 480 Kelvin / 207 Celcius, that means conventional organic biology with water doesn't work. Being comprised of crystal, both liquid and solid, means that the Tholian development is a completely different path. The natural lightning in the atmosphere reacted with simple crystalline molecules to start the process. Tholian biology developed into a combimation of radiation, magnetism and electrical charge. Studies have shown that the Tholian starships and architecture is composed of a similar material; this leads naturally to the hypothesis that Tholians interface with their technology, allowing a faster reaction time and no need for a physical console to interface with. Tholian perspective is very different from ours. They’re not xenophobic; we’re just very different to them. Tholians cannot relate to our organic nature easily. Tholian perspectives on ‘self’, ‘time’ and ‘territory’ are very different to ours. With the physical ‘self’ merging into the caste moot, so this informs their perspective of territory against just the universe; they’re all part of the whole. With the Tholian crystal changing states from liquid to solid, their blending into the caste moot, this means that their ‘lifespan’ is difficult to determine. Tholians essentially get re-blended into the mix and reform as new individuals; a crystalline geological equivalent of genetic recombination. To an extent, a Tholian is immortal barring death away from the caste moot. M class planets are considered cold by Tholians. Interactions with organic life is through environmental suits, bringing a sense of disconnection and isolation to the Tholian. Equally the aesthetics and necessity of a planet having plant life for existence is an irrelevancy for Tholians; they simply don’t need nor understand it. Tholian silk is a naturally produced substance in the same way as a silkworm produces silk. It’s linked with the regenerative and maintenance aspect of Tholian biology; the silk repairs damage or injuries to the Tholian carapace. The carapace itself regenerates but at a much slower rate. Tholian physiology and psychology is something I find a fascinating area to theorise about. This page is the product of that thought. I started with canon that the planet is Demon class and Thoians are crystalline, now surviving away from high temperatures except in an environmental suit. There has been speculation about a mouth on Tolians but they're crystalline and from 207 degrees Celcius. Since they are crystal, I see them acting as radio crystals, transmitting to each other. This fits in with novels like the Vanguard series that has them with a collective consciousness called the castemoot. Electrical charges, magnetism, radiation - all of this makes for a unique and very alien form of life. A region rich in minerals and Y class planets. Thought to partly be as a result of the high incidence of subspace anomalies interacting with the planets due to the subspace barriers being thinner in this region of space. The Federation has been studying this region of space from afar since the first encounter with the Tholians in the 22nd Century and the discovery of their sovereign space. The Tholians have expressed their opposition to the Federation being so close with xenophobic displays of force by their patrol vessels. Scout vessels have been seized by the Tholians and charged with espionage. The captains have protested that they were in unclaimed space but the Tholians have countered that they have recently claimed that region in a revision of their borders. 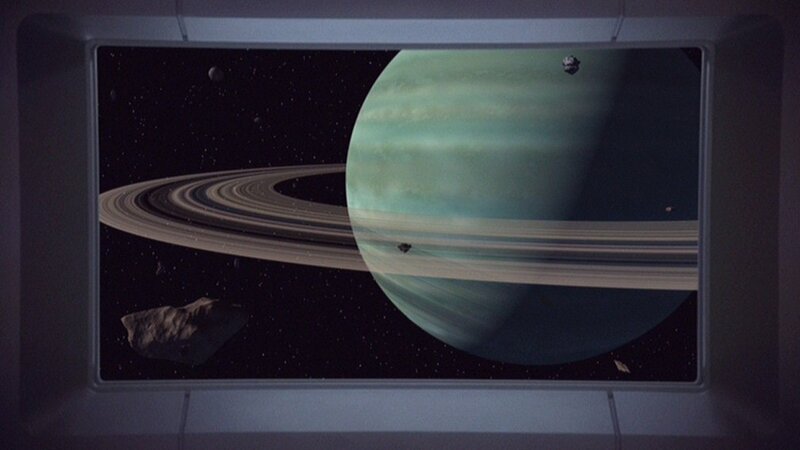 With advances in sensor technology over the 2280s and 2290s, Starfleet science vessels of the Kestrel, Phantom, Endurance, Antares and Trista have been able to stand-off further from the Tholian border and still be able to scan into Tholian space to study the subspace composition, the worlds, populations and fleet movements. Starfleet Intelligence has great interest in the Tholians, especially after the Taurus Reach and Vanguard period 2265 – 2268. With the 2292 Praxis explosion and 2309 conflict with the Klingons displaying a probable connection between the Tholians and subspace/space-time, the interest of Starfleet Intelligence and the Federation Science Council has only increased. The Tholian Assembly is run by the Political Castemoot of the Tholian Lattice and the Ruling Conclave. The Ruling Conclave keeps alarming knowledge from the lower castes to prevent reckless action. Tholians are hermaphrodite, living crystalline minerals, with a fluid medium within. 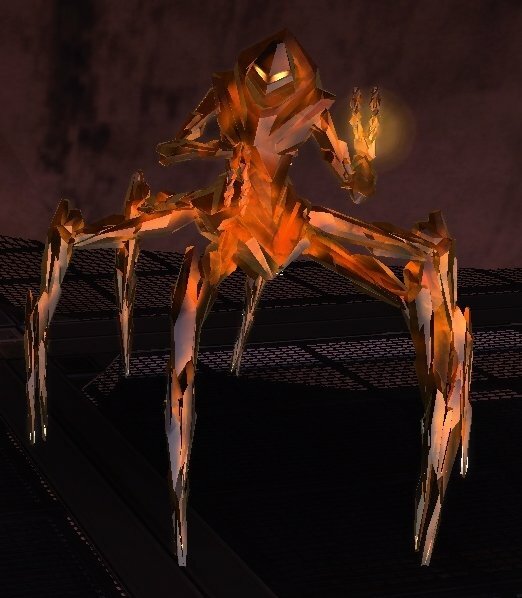 Each Tholian has a unique colour and similar properties to a race called the Shedai encountered in the late 2260s. Due to their extreme physiology, phasers on stun have a limited effect. They are quadruped with two mantis-like arms. Tholian cells have an electric charge within each cell. The hot atmosphere within their ships makes boarding impossible. Tholians communicate through chirps and have a telepathic ability with their own kind. Lifespans are thought to be short at 6 – 8 months but each generation passes on their memories and knowledge through crystal memory upload. Tholians do not need schooling and can continue the work of their predecessors seamlessly. Tholians have a networked intelligence but not a hive mind. The shared memory archive for Tholians is known as the Lattice, which contains species-specific general knowledge and history. Much of the time, Tholians are networked into the Lattice. Extremely xenophobic, Tholians review their borders every 8 cycles, which has created misunderstandings as the territorial Tholians fight over their new borders (every four years). Bred for specific roles like ants, Tholians know their roles and have no concept of flexibility. Warriors are the most prominent caste; political are another caste, diplomatic caste to keep other castes and external governments peaceful. Scientists, engineers and mathematicians form another caste and finally a medical caste. First contact with the Tholians was in 2152 when the Tholians attempted to capture a time ship. 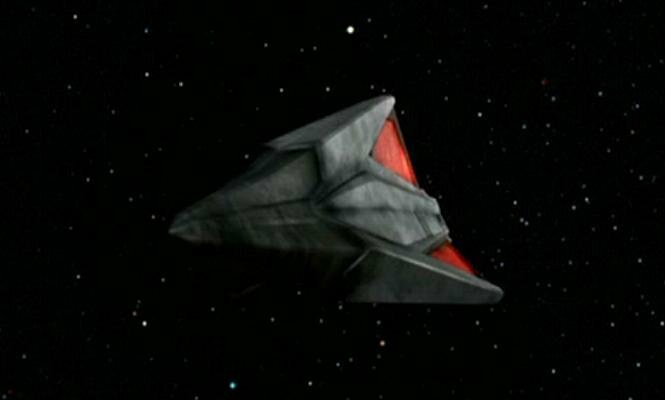 Information from Captain Archer suggests the Tholians may have been a faction in the Temporal Cold War. The Tholians are believed to have a spacedock facility in the Vintaak system, deep in their space and another at Nukara Prime. Tholian conflicts occasionally occur along their border (one such conflict breaks out in 2353). These conflicts have been quite frequent with Tholians involved in the Klingon civil war of 2292 and again in 2309 when they were stalled by Kaarg. One major event that was not made public knowledge was during the Tabula Rasa incident the Tholians made a prolonged and aggressive attempt to reach the systems themselves. Because the Klingon Empire lay between them and the new systems, numerous incursions happened as they tried to break through. 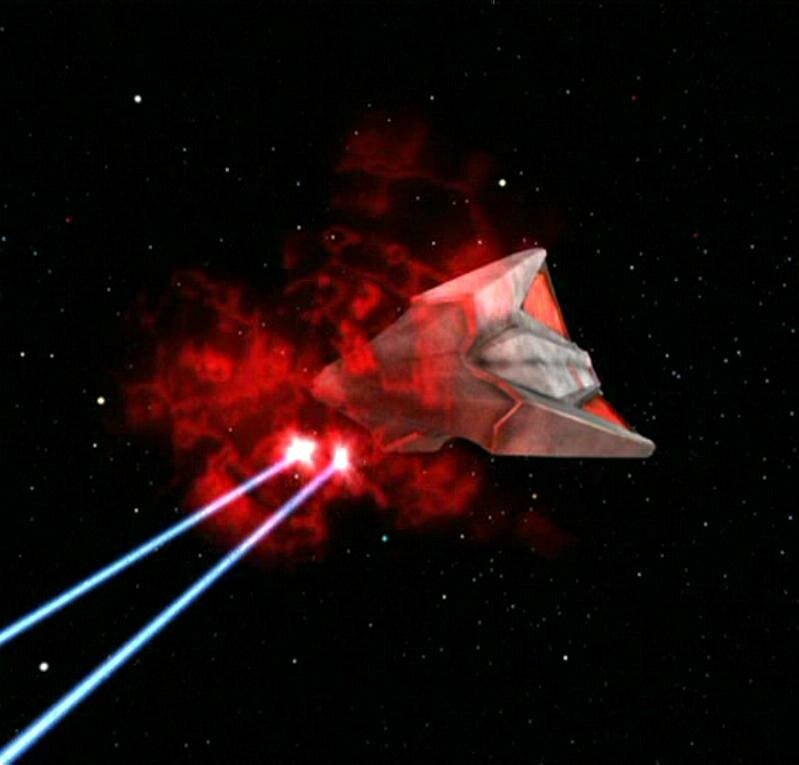 The Klingons reacted in kind, sending a fleet against the Tholian ships to repel the invaders crossing their space. Battles continued on and off for the duration of the Tabula Rasa systems being in normal space. Once the systems disappeared again into their subspace pocket the Tholians ceased their actions immediately. Starfleet has a concentration of Trista and other specialist sensor-mounted starships e.g. Antares, Kestrel, Endurance and Phantom classes in the region. The local Fourth Fleet mission is to use all of these starships to study the very nature of subspace. The Transwarp project from the 2260s to the late 2280s started this study, which continues in order to develop the next generation of warp drive technology. The Fourth Fleet was formed in 2269 after the loss of the Defiant, Bombay and Starbase 47 'Vanguard' in the Taurus Reach frontier region. Starfleet Headquarters realised the Tholians are as dangerous as the Romulans or Klingons. In light of this a programme of starships and starbases was drawn up for the region and the fleet formed. The primary mission was to protect the new Megaran, Grazerite and Caitian members whilst studying the Tholians and protecting the borders. Dreadnoughts were allocated to the new fleet, away from the usual Romulan, Klingon and Ferasan borders. The spatial anomolies reported by the Defiant, Enterprise, Excelsior and other starships means Starfleet Command allocated a fleet of science vessels to the Fourth Fleet. This region of space is the most unusual and challenging since Anomoly Space dispersed in the time of Jonathan Archer. The subspace anomolies can cause sensor issues all the way up to warp field nullification. Every region of the United Federation of Planets is different and has its own unique feel. Whilst Hawkins and the Sheffield are around the Klingon Empire, The Interim Years also has other ships and crews in other regions. Tholian space was fleshed out by Star Trek Online and the excellent Star Trek: Vanguard series of novels. The Tholians are the most non-human species in Star Trek set along the neighbouring border to the Federation. 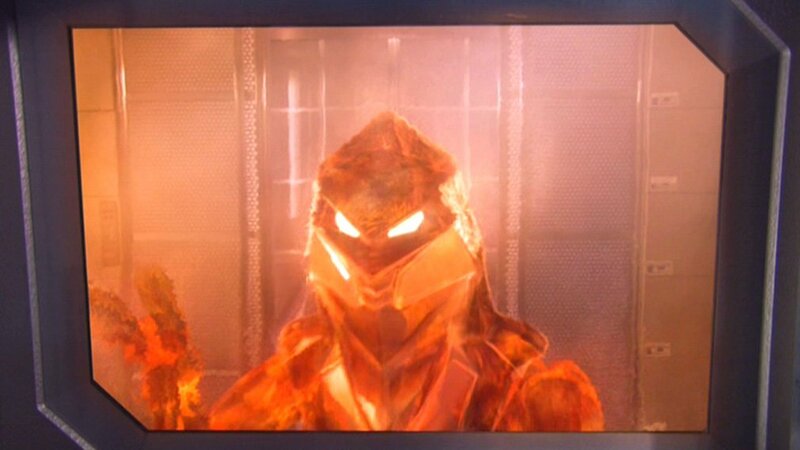 First seen in The Tholian Web and further in Star Trek: Enterprise, STO links them to Demon planets (VOY), the Crystalline Entity (TNG), Mirror Space (TOS and DS9) and the Temporal Cold War (ENT). The crystalline Tholians have a short lifespan (Vanguard novels) but their knowledge stays forever in the Tholian Lattice - a kind of crystalline internet consciousness. They review their whole political structure and borders every 4 years. They have a different perspective on life - given their short physical lifespan 'downloaded' into a physical body, space-time - given their relationship with mirror space and other dimensions and space-time displacement - which allows them to 'sense' warp drive subspace distortion. The Klingons lost cloaked ships from this ability. Tholians use radiation as a tool and as a weapon. The 2312 re-visiting of this enigmatic alien race from Future Tense, The Tholian Web and the Vanguard novels. The region of space has ‘thin’ boundaries between dimensions including the mirror universe. Starfleet studies the very nature of subspace here. U.S.S. Adventure page covers this. Antares class Oxford and Endurance class Barnwell are in the region too. Starbase 117 is under construction and the Mughi class Hitomi and Jupp class Osterhaus and Reeves are both assigned. NCC-2002 U.S.S. Columbia is the flagship of the fleet. Brand new U.S.S. John F Kennedy NCC-14902 has just completed her shakedown and has joined the Fourth Fleet. Brand new U.S.S. Potemkin NCC-18253 is due for shakedown for this fleet in 2313. Renaissance class U.S.S. Shakespeare, Botticelli and Palmieri are currently assigned to this region. The Tholian species runs on being a mystery, so lots of Dr Who-style “I’ll explain later” moments. NO use of the Starfleet Battles/Starfleet Command version of the Tholians here. 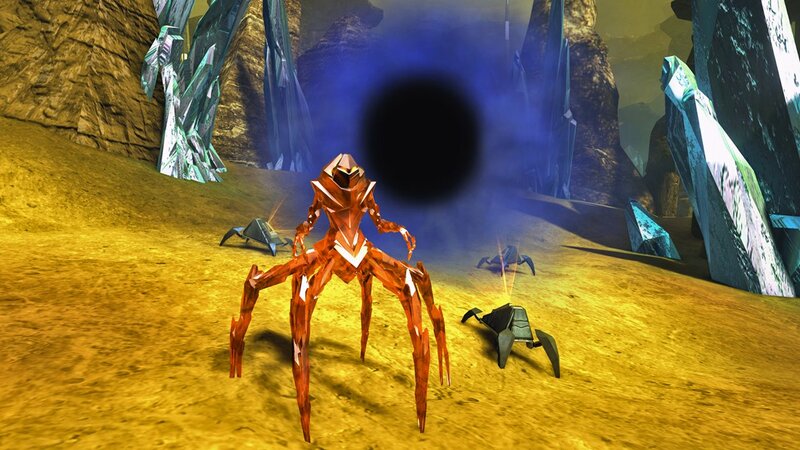 These are xenophobic Y-class ‘Demon’ world-inhabiting crystalline creatures. Their physical lifespan is short but I surmise they get ‘downloaded’ into new bodies after being uploaded into the Lattice for a time. This lends the Tholians a truly alien slant on the concepts of life and death. Tholian space is as unusual as they are, with a high number of Y-class planets and the subspace barriers in the region are ‘thin’; perhaps the two aspects are linked. The ST: Star Charts book suggests there are good relations with the Tholians since the 2270s but with the Vanguard revelations of short life-spans and reviewing borders etc, I’d say that relations ‘fluctuate’.